Adobe has recently released an update that looks to have caused issues with 2008 R2 servers. 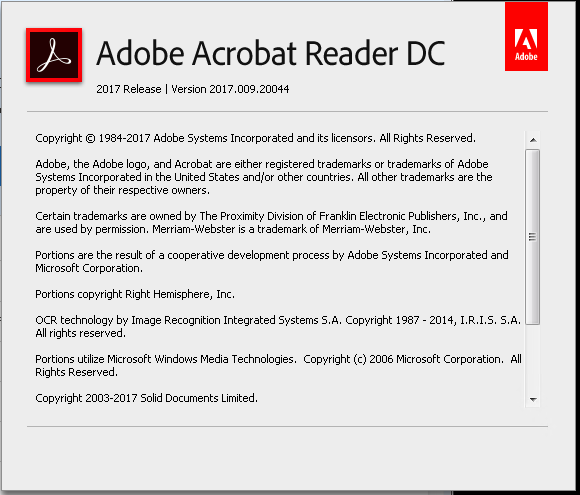 Adobe Reader version 2017.009.20044 is causing problems for Adobe Acrobat Reader DC upon launch. 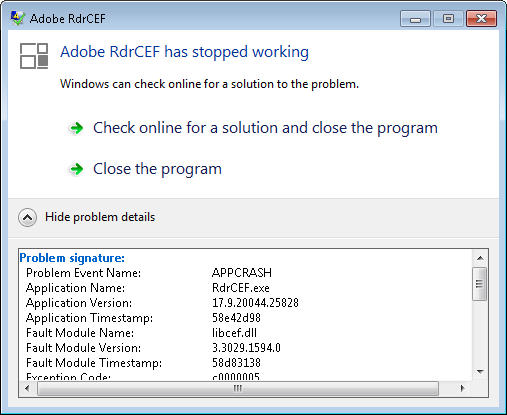 ‘Adobe RdrCEF has stopped working’. The ‘APPCRASH’ application name is ‘RdrCEF.exe’. Once these files are either moved to another location or removed, you should now be able to open Adobe Reader with no issues!